So you’re organising a traditional Japanese meal but have no idea where to place the crockery and utensils? Let us help. To give you an idea of the intricacies of washoku, consider how the Japanese present whole fish at the dining table. In her critically acclaimed cookbook Washoku: Recipes from the Japanese Home Kitchen, Elizabeth Andoh explains that whole fish is always presented with the head facing left, the tail to the right, the belly forward, and the back away from the diner. This is an age-old custom, as the Japanese believe this manner of serving is the most aesthetically pleasing for the diner. Visual aesthetics play an important role in washoku. It’s not just about what you eat; it’s also how you eat. For example, it’s considered bad manners to hunch your back and bring your face close to the table when you eat. Instead, it’s recommended to hold your bowl in your hand and eat with an upright posture. 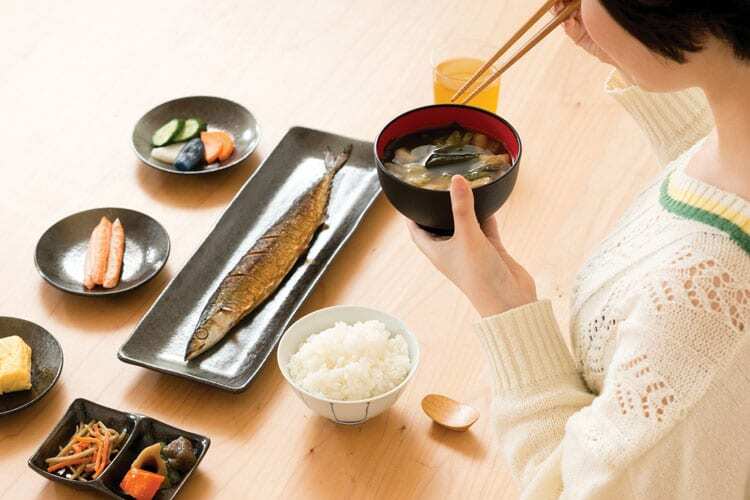 If you’re hosting a traditional washoku meal, it’s also important to consider how you present the dishes. Here’s what you need to remember: the rice bowl always goes to the diner’s left and the miso soup always goes on the right. Placed directly behind these bowls are small serving platters, each containing a different type of food. The platter on the right would usually hold a simmered dish while the platter on the left typically holds a grilled dish. The middle platter would usually be a dish of boiled greens. The different dishes are usually plated in a way where the flavours get richer from left to right, so you can start from left to right. Tsukemono (pickles) are not considered one of these side dishes, and are usually positioned next to the rice bowl. The chopsticks are placed on a chopstick rest, right in front of the diner, with the pointed ends facing left. At the end of the meal, chopsticks should be placed together on the chopstick rest or together horizontally, midway across the “northern half” of your plate or bowl. Of course, the most important thing when dining is to enjoy your meal. Don’t worry if you can’t remember all the Japanese dining rules. As long as you avoid slovenly eating and are careful to maintain the aesthetics of your washoku meal, you’re already on the right track. Itadakimasu!